Suits are usually worn for meetings at financial institutions but a smart shirt and trousers/skirt are acceptable for all other meetings. Punctuality is important, although typically meetings start late. Small talk is an integral part of most meetings but topics such as politics, religion or socioeconomic issues are best avoided, and the host should be left to turn the conversation to business. Meetings tend to end naturally rather than at a set time, and it’s perceived as rude to rush off without stopping to chat. Knowledge of Spanish is an advantage, although many businesspeople speak English. Ask at the embassy for interpreter services. The best time to visit is December to April but bear in mind that hotels are often fully booked around Easter week, Christmas and New Year. Mon-Fri 0800-1700. Some offices close for an hour at lunchtime (around 1230-1330). Nicaragua is the poorest country in Central America and the second poorest in the Western Hemisphere, with widespread poverty (30% below the poverty line with 80% below the poverty line living off $1USD a day) and an estimated unemployment rate of 6.4% (2017). Inflation was at an estimated 3.85% in 2017, although GDP grew by an estimated 4.9%, largely due to an increase in demand for Nicaraguan exports and increased consumer spending at home. The Dominican Republic-Central America-United States Free Trade Agreement (CAFTA-DR) has been in effect since April 2006 and has improved export opportunities for many agricultural and manufactured goods. Close to one-third of GDP is derived from agriculture, timber and fishing, and livestock and dairy production has been growing steadily. Export products, especially coffee and gold, have benefited from the recent rise in international commodity prices. Around two-thirds of Nicaragua’s exports are to the US. 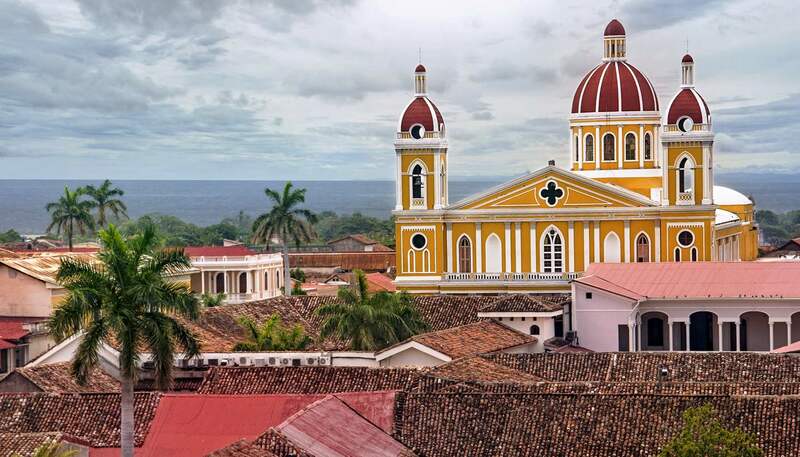 Struggling with a high public debt, Nicaragua has relied on a Poverty Reduction and Growth Facility (PRGF) with the International Monetary Fund (IMF). The most recent programme ended in 2011 and they are currently in negotiations for a new programme. It also depends heavily on foreign aid and remittances from Nicaraguans living in the US, Costa Rica and elsewhere, which reached over US$1 billion in 2012. Foreign direct investment is also on the rise. Coffee, beef, gold, sugar, peanuts. Consumer goods, machinery and equipment, raw materials, petroleum products. US, Venezuela, Mexico, Costa Rica, Canada. Nicaragua has an extensive landline network and public payphones are available in most areas. Roaming agreements exist with some international mobile phone companies so if you're planning to use your phone in Nicaragua, check with your provider before travelling. Coverage is limited to urban areas and wild areas (such as remote forest or mountainous regions) will not have signal. Internet access is available in all main towns, where there are lots of internet cafes and most hotels will have Wi-Fi access for guests. Connection speeds are however, likely to be slower, and in remote areas, quite intermittent. Nicaraguan media represents both pro- and anti-government views. The main papers of note are Spanish language newspapers La Prensa and El Nuevo Diario. Nicaraguans love watching television, and there are several television networks and over 100 radio stations. Cable TV is available in most urban areas. Most larger towns have an Enitel telecommunications and postal office. The postal service however, can be quite unreliable. Mail sent to the USA should arrive within five to 10 working days; for post to Europe, it may take longer.